Zermatt is the perfect place for winter hiking surrounded by many alpine mountains and alpine nature. Winter hiking can be a fun-filled and thrilling prospect for those dwelling in warm climate countries or even those who would dare to brave the chilling snowy terrains under the frigid temperatures in cold countries. The very idea of travelling through the unsullied, snow-covered mountainous terrains amidst the crisp and pure air brushing across your face endows your mind with immense serenity. However, before you hit the white expanses of valleys and rugged routes it is important to pack your bags and harness yourself with the right gear to ensure all goes well until the end, as far as your health and safety is concerned. In order to stay warm throughout your tryst with the chilling snow and the freezing breeze the key is to layer up your clothes. 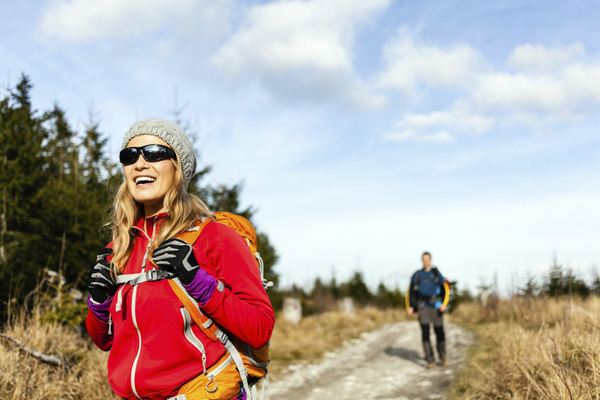 This is because you are most likely to encounter a variety of temperature changes as you go hiking and snowshoeing which are both highly aerobic activities will have your metabolism going wild, and generating large amounts of body heat. The Base Layer is for keeping your skin dry and keeping away the moisture from sticking to your skin thereby making cotton a strict no-no for this layer. 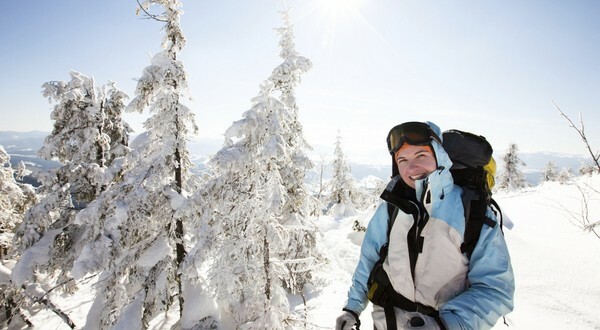 Materials like merino wool, synthetic fibers or capilene glove will do well for the base layer. The Middle Layer is meant for insulation and maintaining the heat of your body and can embrace jackets, polyester fleece shirts and soft wools which endow your body with much needed warmth. The Outer Layer should comprise waterproof and windproof material to shield your body against the harsh outer elements of weather. It acts as a shell-like covering that prevents building up of moisture, keeps your body dry and maintains its heat. A rain-proof and breathable pair of trousers and jackets can work best as the outer layer of clothing for winter hiking. Gloves or mittens can lend your hands with the protection needed from the chilling temperature while your feet needs to be insulated with a thin pair of socks that fits tight and a pair of waterproof heavy shoes. For the latter it is best to go for shoes which embrace rubber and plastic instead of leather which tends to freeze. To protect your head and ears Balaclavas can be a good choice for protecting your facial skin from direct exposure to the freezing wind. There are many winter hiking trails around Zermatt that everyone and all ages can enjoy. Whether it is an easy trail where children can have an excellent time or a challenging trail for those who wants an adrenaline pump, Zermatt has it all. But for difficult trails, Zermatt advises hikers to take a guide since some trails have glaciers and snows cover the trails which leads to hikers getting off track. Getting off track is very dangerous in Zermatt for both the wildlife and people so be sure to have a guide with you when hiking through a difficult or challenging trail.